Change is not easy and it takes courage, especially in F&B industry. What used to be Atmosphere Bistro at Alexandra Central Mall, the group embarks on a new concept offering Thai cuisine, renaming the restaurant Soi Thai Soi Nice. Basically the interior remains the same accept that the menu has been revamped to offer Thai dishes and hot pot. 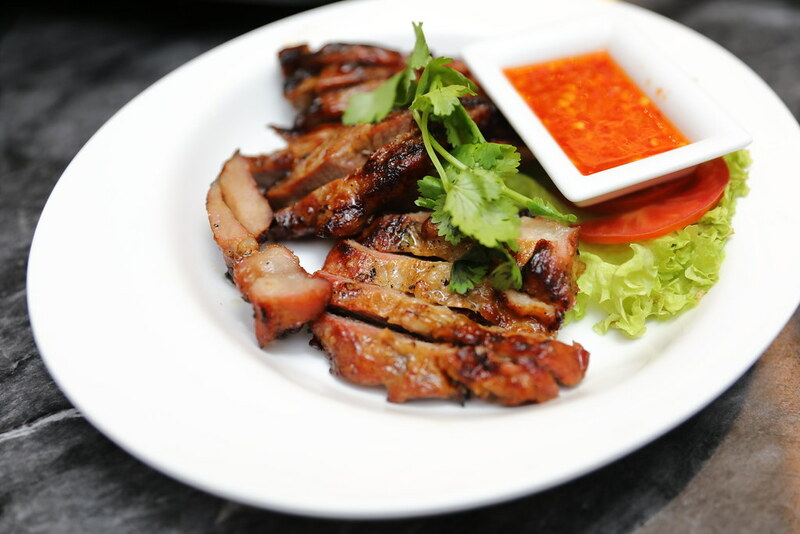 The Grilled Pork Neck ($9.80) is beautifully marinated and grilled to a lovely char with crispy edges. The succulent pork neck was tender and even came with a crunchy bite. 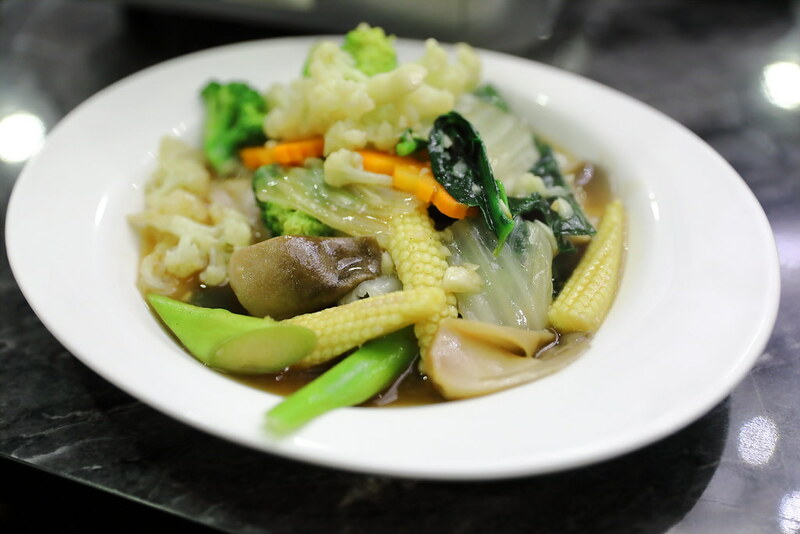 The Stir Fried Mixed Vegetables ($7.80) may look like a simple dish with oyster sauce and garlic but getting the balance right needs a good control of the wok. Infused with the smoky wok-hei aroma, the vegetables were not overcooked, retaining the crunchiness. 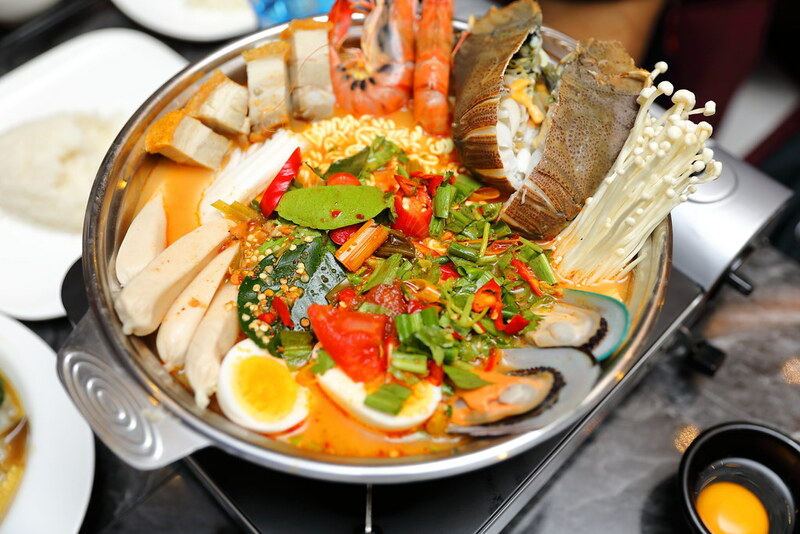 The highlight at Soi Thai Soi Nice is the Royal Thai Hot Pot ($38.80/$68.80). We had the regular pot which is good for 2 pax. 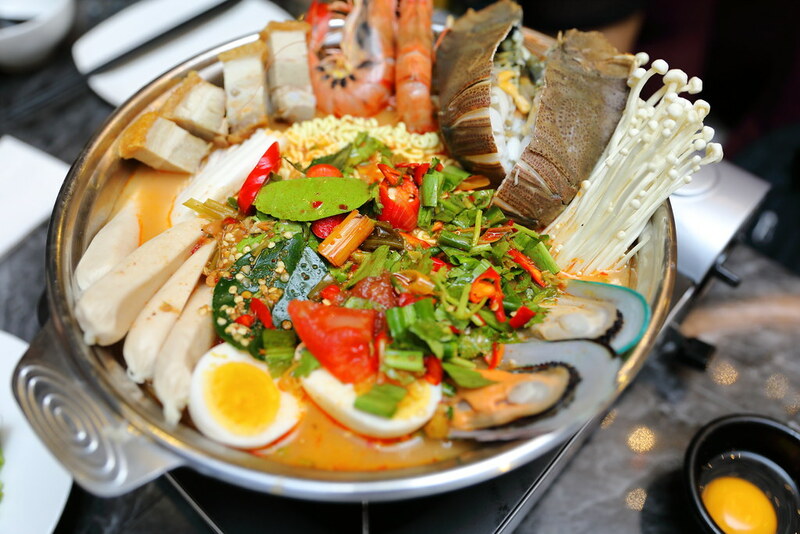 In the hot pot you can find cray fish, prawn, mussel, sausage, sio bak, egg, mushroom and maggie noodle, all submerged in a homemade tom yum broth. The broth is actually on the sweet side for me, it didn't have the characteristic spicy kick in authentic Thai cuisine. Nevertheless the hot pot brimming with ingredients is a luscious enjoyment on its own. I noticed almost every table has a pot of it on their table.